We sell organically-managed* vegetables, berries and herbs harvested from our campus farm at the College of Lake County in Grayslake, IL. 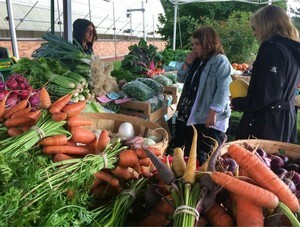 Our market is held every Thursday from 3p-5:30p on the lawn in front of the horticulture building (Lancer Ln. between Brae Loch Rd. & Washington St.), beginning in June and ending in October.